Open the door to a unique Tasmanian experience. with understated elegance and magnificent City Park views. 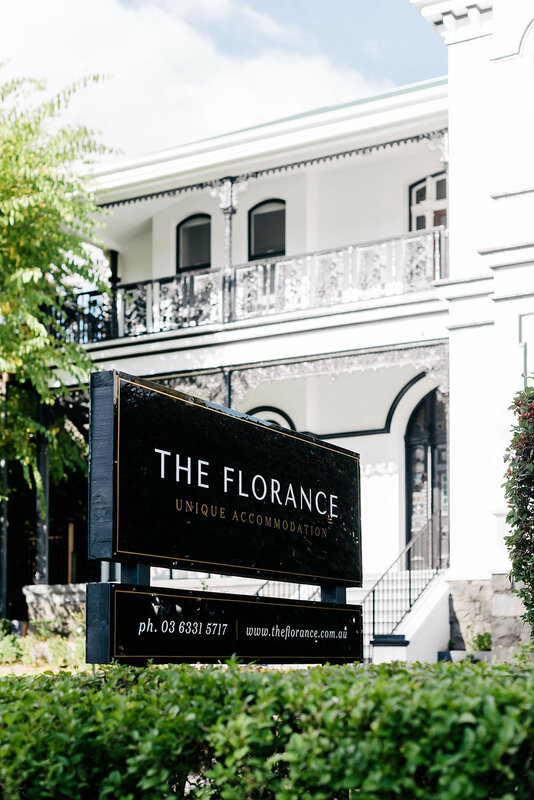 Steeped in history and Victorian character The Florance has been thoughtfully restored through considered design, whilst paying tribute to it's historic past. The Florance offers a freshness and character you would expect in a unique accommodation. 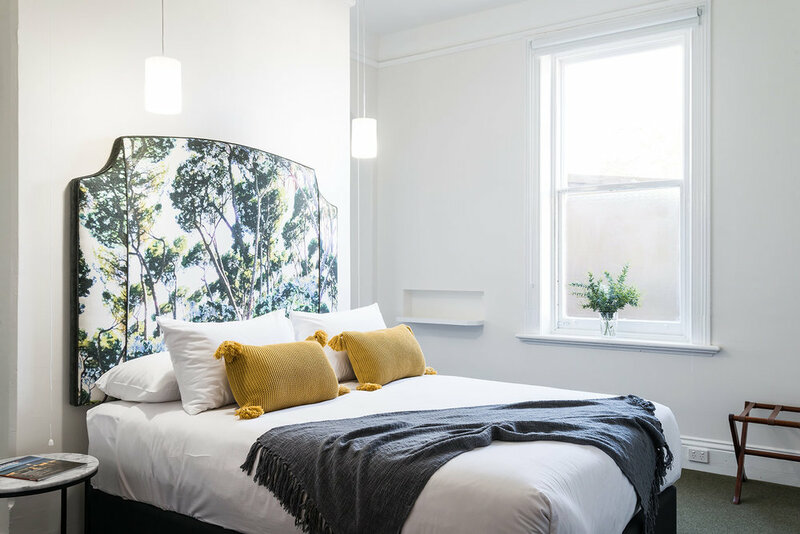 Our location, including a private carpark, is conveniently situated within the Launceston arts precinct and minutes from the CBD. 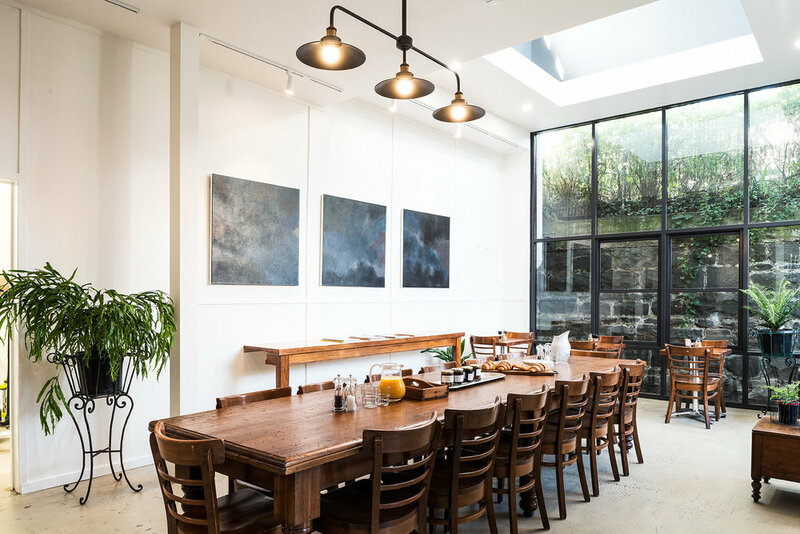 A contemporary light filled space featuring the work of artist William Rhodes, a Glover and Archibald finalist. Enjoy the complimentary continental breakfast with a selection of seasonal produce, browse the papers, chat to fellow travellers, and discover the best kept local secrets from your host. Our garden deck offers another enjoyable option during the warmer seasons. Retreat to your own private space. A minimalist botanical theme flows through the 12 individual guest suites. 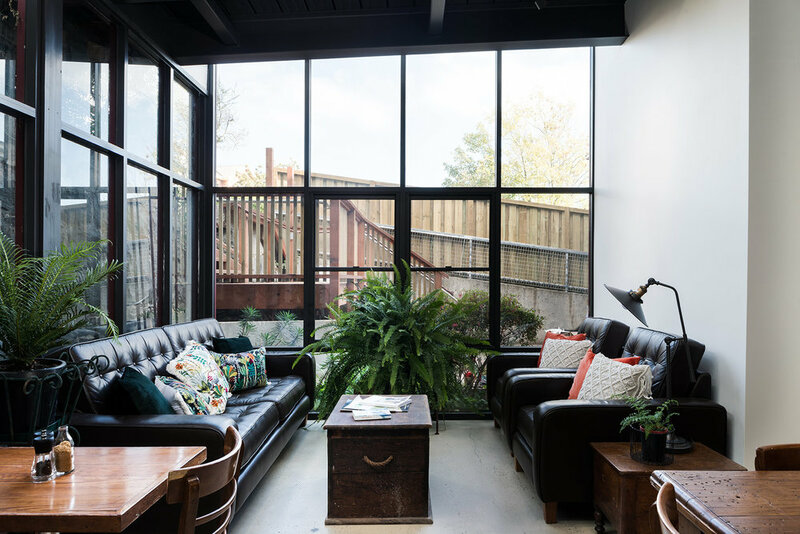 Whether upstairs or down, with views of the City Park or surrounding heritage architecture, all the suites feature a mini desk; bar fridge; and a selection of tea and coffee for your convenience. Experience our Tasmanian made beds, featuring a bespoke bedhead and a choice of luxury pillows to ensure a supreme slumber. 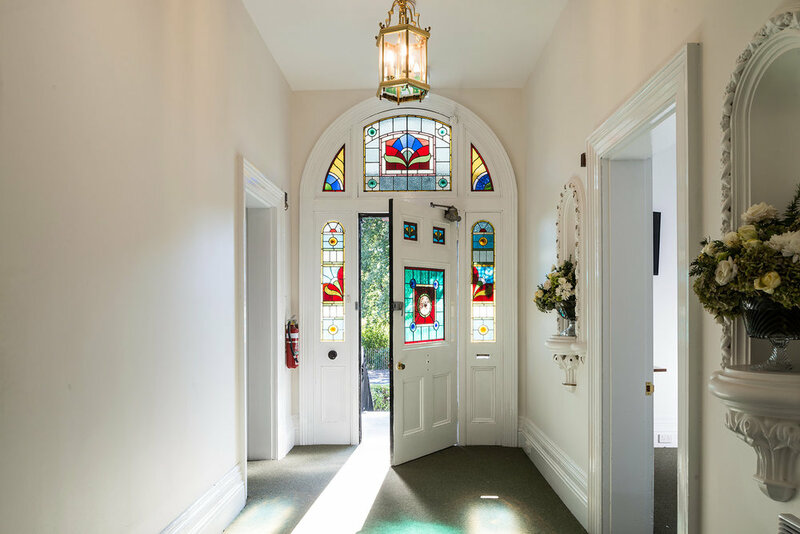 Experience the ambience and character of our grand Victorian House. The Florance offers complete exclusivity for your small group function. 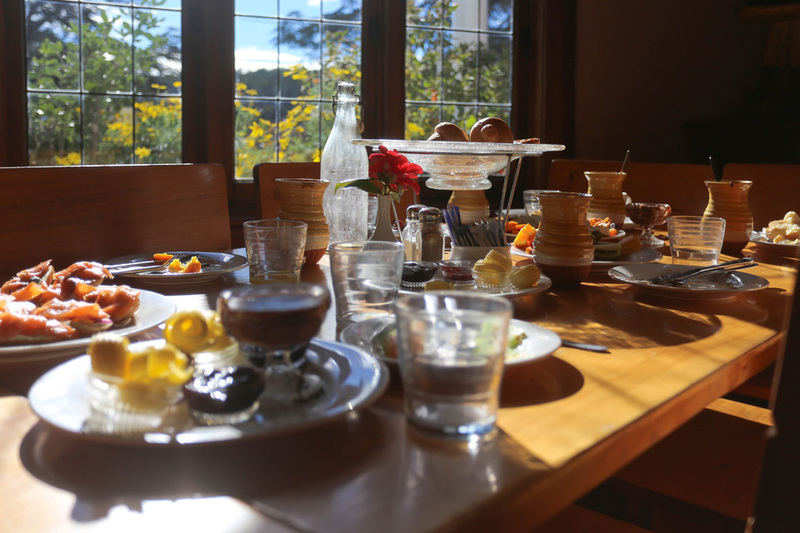 We can accommodate 24 guests for bed, breakfast and beyond, allowing your group to start and end their day together. The Florance is the perfect boutique atmosphere for your bridal party, offering an elegant backdrop for the memories captured with it's classically proportioned windows, beautiful staircase and wrought iron balcony. Only a stone’s throw away, you will find the established gardens of the City Park for further romantic photographic opportunities on The Big Day. Contact us for more details. Our riverside city Launceston is the perfect base to explore Northern Tasmania. Take the time to discover the world-renowned vineyards, mountain-bike trails, National Parks, local producers and the quirky makers & markets that are all possible within a days drive of The Florance. Sampling the very best from the Tamar Valley Wine Route. Climbing Cradle Mountain, or taking a stroll around Dove Lake. Exploring our state's history on the Heritage Highway. Treating your tastebuds to the Cradle to Coast Tasting Trail. Your stay also includes a parking space, perfect for leaving your car and exploring our vibrant city at your own pace. One of the true joys of travel is staying centrally and exploring on foot. 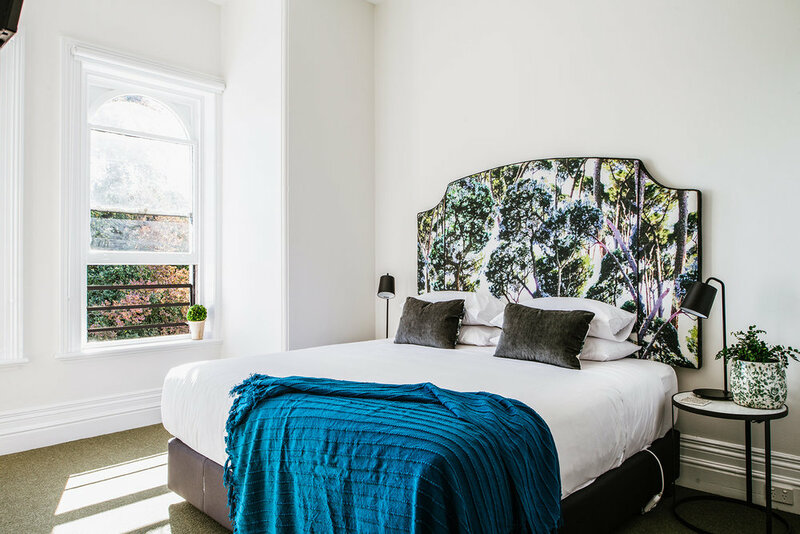 Well positioned within the arts precinct on the border of the CBD, The Florance offers you the luxury of strolling to many of the city's most iconic food, shopping and cultural experiences. Booking directly means connecting with our passionate team at The Florance from the very beginning. We will respond within 24 hours and are happy to share our local knowledge. It is a privilege that you have chosen to enquire about us. We look forward to being a part of your journey. Please enter your email address, or phone number if you prefer. Imagery by Anjie Blaire. Design by Ebony Arwen.